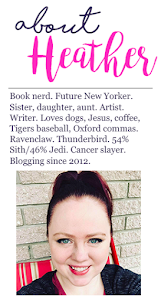 In less than a week, I'll be participating in the Love for Books Readathon, hosted by Jessi at Novel Heartbeat and Amanda at Confessions of a Bookie Monster. I love a good read-a-thon and this comes at a perfect time of year for me where I am fighting off illness and spending lots of time reading. I'm reading several books right now. Like over ten. I would like to whittle that down to at least half of that number. I have a few books for review that are second books in a series. I'd like to finish the first book in a couple of those series so I can move forward with reading and reviewing the ARCs I received. I'll be updating daily throughout the read-a-thon!